Google launched the Android Go program sometime last year with the aim of bringing the latest android experience to entry level smartphones by optimizing the Operating System and also releasing a streamed down optimized version of other Google android apps. 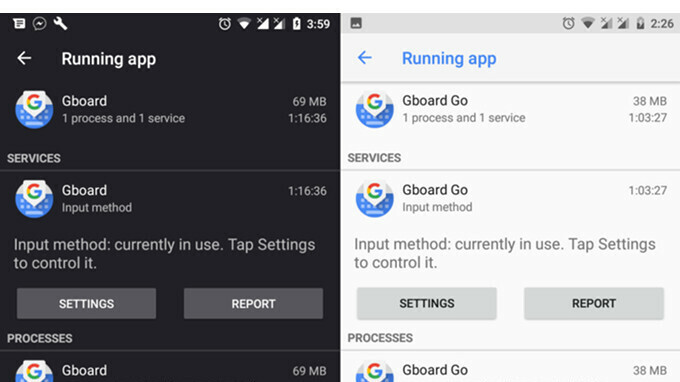 Most of the Google Go optimized apps are already available on the Play Store like the Google Maps Go, YouTube Go, File Go and a few others, now Google has added the Gboard Go app to the list. The Gboard Go apps works and looks like the regular Gboard app. It has some of the regular Gboard features like themes, gesture typing, and integrated search. However, it's missing features like GIF search and stickers. One-handed mode also appears to be a no-show in Gboard Go. The app might lack some features but it's also optimized as it uses less than 40mb of RAM compared to the about 70mb of RAM used by the regular Gboard app. Also this app is design for the android 8.1 so it most likely won't work on devices running on lower android version. If you want to give this app a short then you can download it by clicking on the link below. But make sure you have a Google Pixel or Nexus phone running on android 8.1 Oreo.